100 year old recently renovated villa with pool with stunning panoramic views. Thank you for a wonderful stay... great location for day trips ... we also had fun walking through the olive groves to town and sitting on the top deck star gazing. The villa is nestled amongst other old rustic buildings and has panoramic views of the beautiful coastline and marina. The villa is well equipped and designed to a high standard. We loved the open plan kitchen/lounge area and really enjoyed alfresco dining by the pool. We stayed 2 weeks at the villa with family of 4 adults and 1 child. The villa is really well equipped and beautifully designed inside and out. The bathrooms are extremely well presented. The pool and outside spaces are well maintained and the sea and mountain views from the roof terrace are spectacular. We spent every evening up there to take in the beautiful sunsets. It was extremely hot during our visit and although the house has air conditioning, there is none in the bedrooms which made nights rather hot especially in the master suite. Otherwise we had a very enjoyable stay in the villa and would highly recommend it. This is a beautiful and artistic home to stay in during your vacation. If you are looking for a beautiful, home-like, representation of the Croatian culture, this is your place. The ambiance of the home, paired with the spectacular views towards the sea and islands make this place a real jem. I highly recommend it to anyone looking for a taste of an authentic Croatian hospitality and culture. We will be back soon. Fabulous stay in Podgora in Jans villa. 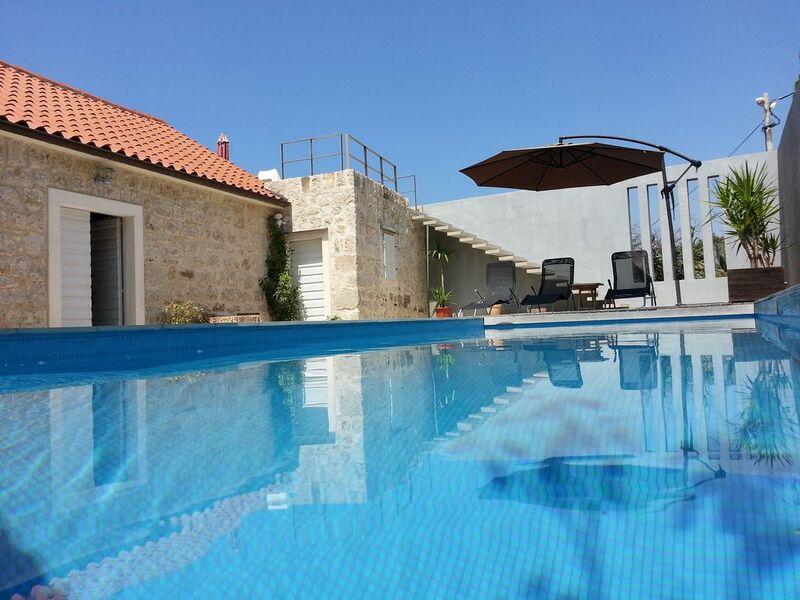 Description and photos are accurate, and the property is very well maintained with focus on all necessary details.Wonderful surroundings, fabulous views and generous hospitality all encountered during our stay at villa . Would recommend to anyone hoping for a luxurious and relaxing stay . Hope to return again someday. An ideal villa for our family holiday. The villa was really exceeding our expectations at all standpoints .Bedrooms were all beautifully presented, bathrooms great, lounge room spacious and cool. Fully equipped with dishwasher, fridge, and laundry plus quality linen and plenty of crockery, cutlery and glassware. The pool was well maintained, as were the gardens, terrace and outdoor patio areas. It was a unforgettable week in Dalmatia, a lovely villa with relaxing pool and beautiful views, we have enjoyed the peace, the quiet and the tranquility. It has been a truly wonderful and relaxing. We loved our stay here. Highly recommended!